Casco Bay Studios is proud to present: Comics! 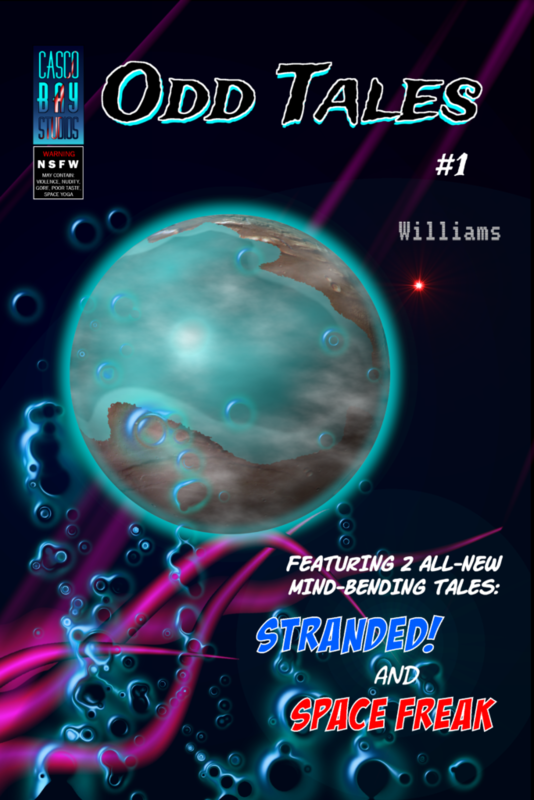 We currently have two comics available for your reading pleasure, the horror/sci-fi mini-anthology, Odd Tales, and the brand new first issue of Team Dino. Space Freak is a Lovecraftian tale of the horrors that lurk deep in the void — of your mind. Mind. Mind. Mind. 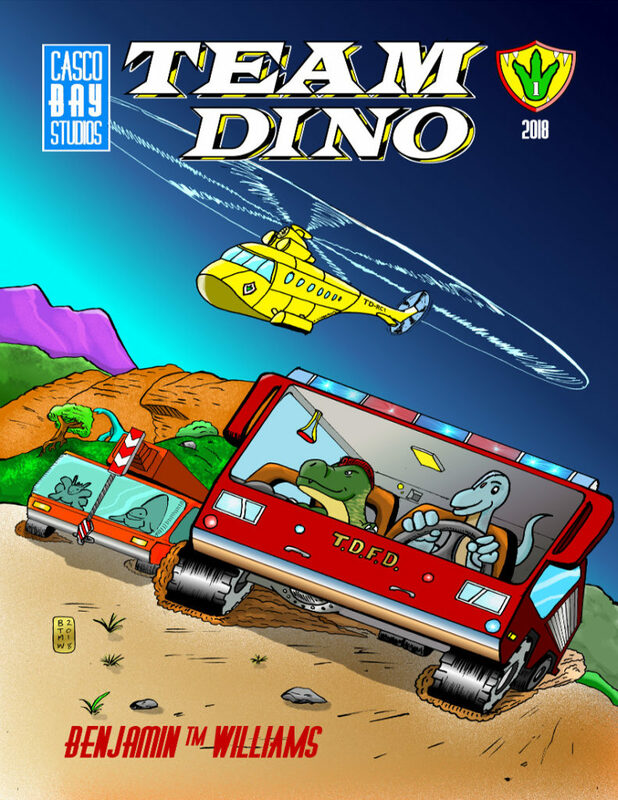 And, for the kids, we have the newly released Issue #1 of Team Dino, a full-length, full-color, kid-friendly comic about a helpful team of dinosaurs that live in a cave above Mezo Valley, and respond to dino-mergencies with a wide variety of trucks, helicopters and rescue vehicles. Click on the link below each cover image to read a sample of each. Enjoy! If you like them, head on over to the Shop and order a copy today!